Although Battlefield 4 has a lot of modes, it is always nice to get several new ones. It seems that the developers have the same opinion, and that's why they have already implemented new modes in the game. Thus, Battlefield 4 fan has found their mentioning in the game's code. 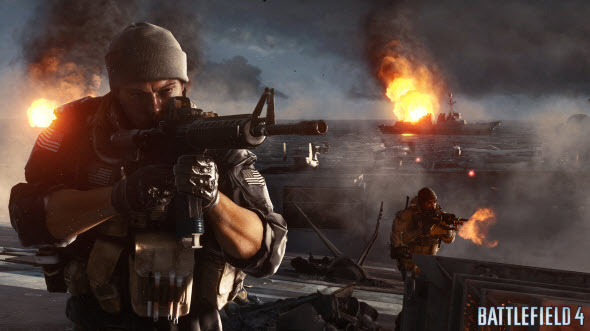 On Saturday new post from the Battlefield 4 gamer appeared on the forum. According to the message, there are eight modes that will be available in the game sometime. For now we have only their names with very brief descriptions and, of course, are happy to share this information with you. TANKSUPERIORITY mode seems to be the artillery-based version of Air Superiority mode from Battlefield 3. GUNMASTER mode also looks like the one from Battlefield 3 and provides an intense skirmish. COMBATMISSION mode is a clone of Rush, but with some differences. SQRUSH - Squad Rush mode. In SCAVENGER mode you need to find a weapon. SPORT mode is a dark horse, because previously nothing similar hasn't been presented in Battlefield game series. In FIRETEAM_SURVIVOR mode you will have only one life and lots of opponents. ONSLAUGHT is a cooperative mode from Bad Company 2. The developers haven't confirmed this information yet, so new Battlefield 4 modes are just rumors for now. And what do you think? Whether this list is possible? Let us know in the comments below.